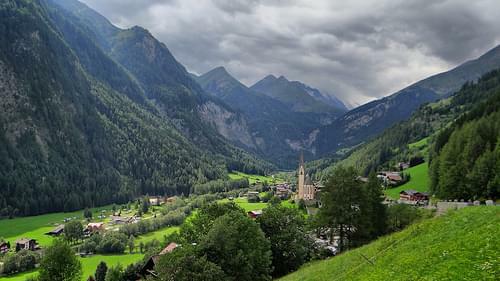 The Romanesque twin towers of St. Bartholomew and a trio of ancient Carinthian castles conjure a Medieval mood. 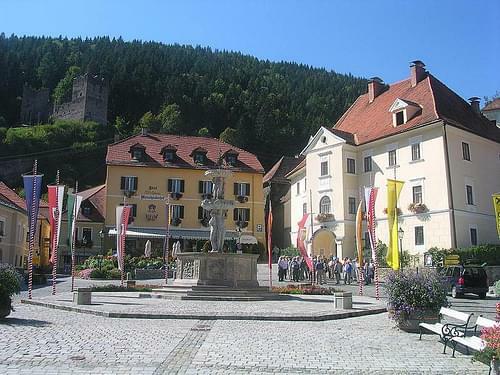 Friesach is a historic town in the Sankt Veit an der Glan district of Carinthia, Austria. 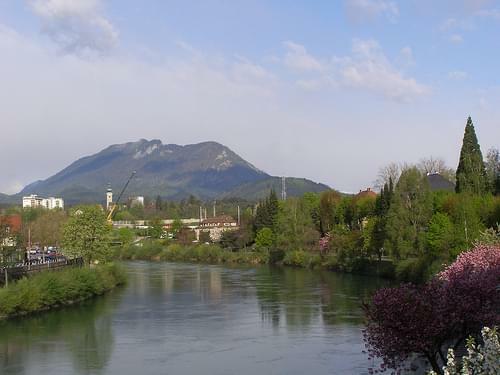 First mentioned in an 860 deed, it is known as the oldest town in Carinthia. 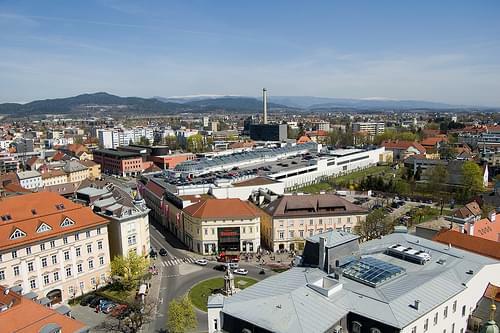 It is located in northern Carinthia near the border with Styria, about 40 km (25 mi) north of its capital Klagenfurt. 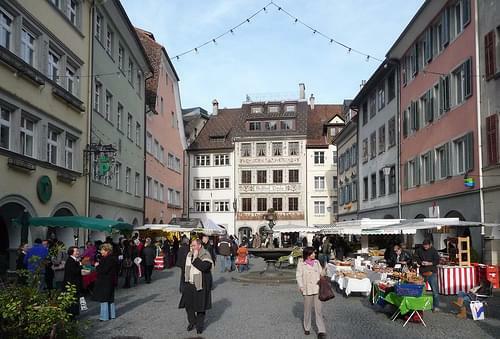 The medieval town around the Romanesque parish church of Saint Bartholomew and its city walls are preserved in quite good condition. From the 13th century on the Salzburg Archbishops stayed at the Fürstenhof residence. 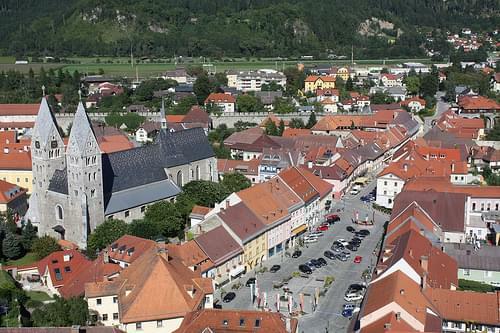 Friesach is also home to the Church of St. Blaise, the Dominican monastery, and the Teutonic Knights' church and hospital. Explore the historic center and its 13C Dominican Monastery, where Baroque meets Gothic, and the Church of the Holy Blood. Greek myths and Italian Renaissance sculptures fuse in this delightful 16C fountain, adorned with Cupids and other famous figures.